A few months ago, I had the privilege of traveling to Wilmington, Ohio, to witness Cpl. 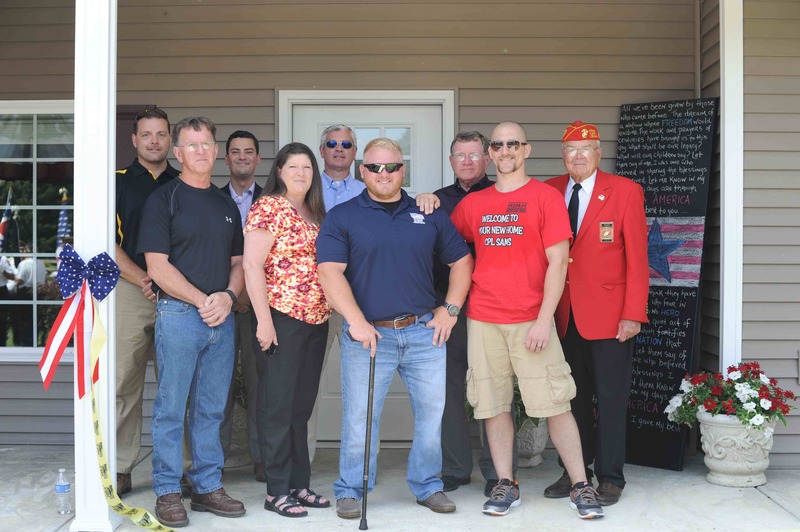 Josh Sams receive the keys to his new home from Homes for Our Troops, an organization that builds mortgage-free, specially adapted, energy-efficient homes for severely injured veterans. Cpl. Sams was a Marine sniper who stepped on an IED while on patrol in Afghanistan in January of 2012, causing him to lose both of his legs just above the knees and part of his right arm and hand. Thanks to this remarkable organization, he now has a comfortable place to call home and live independently for years to come. Since its founding in 2004, Homes for Our Troops has built more than 190 homes for qualified recipients. Seeing the opportunity to make a difference in these men’s lives, CertainTeed signed on a number of years ago to donate complete roofing systems for the homes. Last year, our corporate involvement grew to include interior wall systems, as well, including fiberglass batts, high performance wallboard and tile backer. In addition, each home’s attic is now insulated with premium blowing wool. Perhaps even more important, our involvement with Homes For Our Troops has provided a terrific venue to honor the sacrifices of our veterans and strengthen bonds within our communities throughout the country. As a retired Army Lieutenant, I knew from the start I wanted to be involved with this project. When regional sales manager Mike Singleton asked me if I was able to attend the Saturday morning ceremony in Ohio, I eagerly volunteered to drive three hours to be there to witness the end results of this process. To say it was moving and emotional doesn’t quite do the experience justice. Josh was an all-state fullback at Wilmington High School, and his high school coach was there to speak at the ceremony along with his best friend and fellow Marine, who also happened to be his quarterback. He stood up in front of Josh’s family and friends and told the story of driving 13 hours through the night with his wife to meet Josh at the front doors of Walter Reed National Military Medical Center outside Washington, D.C., after learning his best friend had been injured. Also at the ceremony were the two Marines who were first on the scene to bind up Josh’s legs and get him on the medevac chopper, who surprised him by making the trip for the event. There in front of his new home, Josh wiped away tears as he thanked everyone for their support. The love, friendship and sense of community was humbling, to say the least. If I learned anything from the experience, it’s that the role of a U.S. manufacturing company like CertainTeed extends far beyond simply making the stuff that goes into constructing a well-built home. The technologies and expertise we offer have the power to help transform lives. Through projects like Homes for Our Troops, we have an opportunity—and responsibility—to truly impact the lives of our neighbors. As I witnessed firsthand at this event, “home” is a powerful thing. It is, after all, where the heart is. If I can say we played even a small part in helping Cpl. Sams find his home, someone who has given so much for our country and our freedom, I’d say that’s something to be proud of. 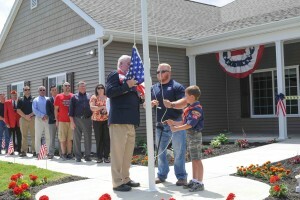 For more information on Homes for Our Troops and CertainTeed’s involvements with the organization, visit www.certainteed.com/followtheproject.